1 seat please for John Cunningham from Mid Calder (Ochiltree Bus Stop). One for me please - return only. Bus seat for Motherwell from Bathgate please. 1 seat please for Pat Grennan from the stadium. Could I get two seats for Phil and Chris Heath from pumpherston please. 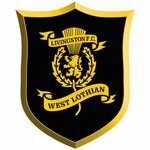 Craig Jackson picking up from Livingston stadium sorry.